Nobu Hospitality is delighted to announce the opening of Nobu Ryokan Malibu, the first in Nobu Hospitality's Ryokan Collection on April 28, 2017. Located next to Nobu Restaurant Malibu and effortlessly blended with the cool elegance of the California coastline, Nobu Ryokan Malibu will present guests with a modern hideaway and distinctive service set against an authentic Ryokan-inspired style. Perched above the famed Carbon Beach alongside the Pacific Coast Highway, Nobu Ryokan Malibu has been completely transformed from a 1950's vintage beach motel into an exclusive destination retreat. 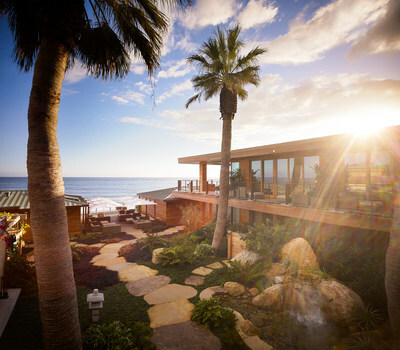 The property features 16 uniquely-designed accommodations over two stories, offering panoramic views and enveloping a serene ocean-facing courtyard with a lush garden displaying native California plants. A thoughtful design concept which balances the flow of energy, neutral color palette and organic materials was spearheaded by architects Studio PCH and Montalba Architects and designers TAL Studio, Shawmut Design and Construction, C.W. Eisner and Nikita Khan. Rich, natural material palettes of teak, bronze and limestone carry throughout the interior and exterior, channeling the minimalist aesthetic of traditional Japanese inns while evoking the laid-back spirit of the property's location. 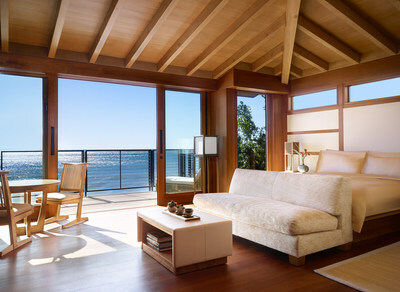 Each guest room has been individually-designed to provide a unique guest experience and well-earned respite, incorporating natural California views and Japanese design elements such as tatami mats, sand-colored limestone walls and hand-crafted teak soaking tubs. Guests can savor an exceptional dining experience and preferential reservations at Chef Nobu's celebrated Nobu Malibu, which sits alongside the property, as well as a custom crafted in-room dining menu. Additional property amenities include a 37-foot, outdoor lap pool overlooking the Pacific Ocean, access to Carbon Beach, a dedicated fitness room, access to Malibu Racquet Club and a tranquil relaxation deck. Encompassing the feeling of Omotenashi, the Japanese art of hospitality, the Malibu location masterfully delivers the unique chemistry and perfect balance of luxury, fun, craft and theater beloved by Nobu Hospitality's international clientele. The Nobu Ryokan Collection consists of a group of individual and exclusive retreats located in exotic destinations and gateway cities where guests seek luxurious sanctuaries in discerning environments. The hideaway retreats offer distinctive service and luxury products each set with an authentic Ryokan-inspired style. 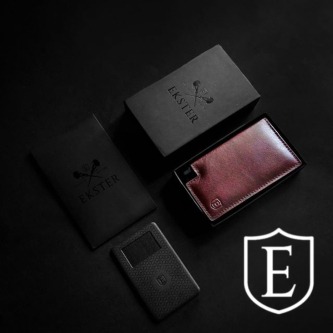 About Nobu HospitalityNamed one of luxury's 25 Most Innovative Brands by Robb Report, Nobu Hospitality is ranked among an elite selection of global luxury brands. The natural growth of Nobu hospitality built on service, image, and reputation, offers the complete spectrum of hotel and restaurant management for unique projects around the world. Owned by Nobu Matsuhisa, Robert De Niro, Meir Teper and James Packer, with operations spanning five continents, the Nobu brand thrives in the world's capitals as the ultimate destination lifestyle experience. The first Nobu Hotel opened in 2013 as a boutique hotel within Caesars Palace Las Vegas and was subsequently named one of the Hottest New Hotels by CNN Travel, Top North America Hotel Opening by Luxury Travel Advisor and subsequently Luxury Travel Advisor's Award of Excellence. The Nobu Hotel City of Dreams Manila opened in 2014 and Nobu Hotel Miami Beach in 2016, followed by Nobu Hotels in London, Malibu, Ibiza, Marbella, Riyadh, Los Cabos, Chicago, Toronto, and Bahrain. Nobu is strategically focused on further expanding its global portfolio of hotels through a solid development pipeline.